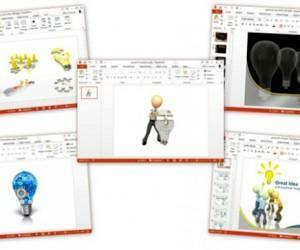 PowerPoint 2010 allows you to easily and quickly animate any object in your presentation. 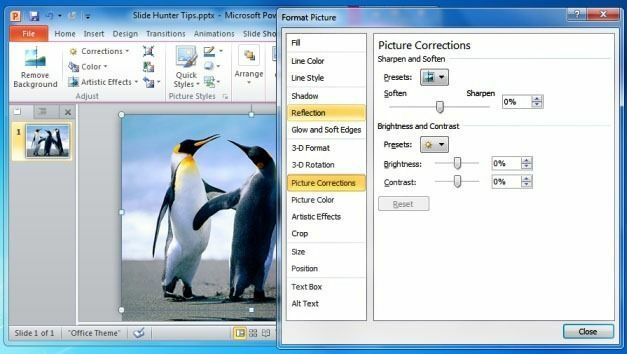 Objects include images, charts, shapes, text, and SmartArt. Animations may also contain sounds. 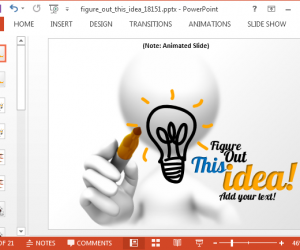 The following directions will explain how to use the animations that are built into PowerPoint and you can animate each part of the diagram or graphic to make it more striking for the end user and engage your audience. 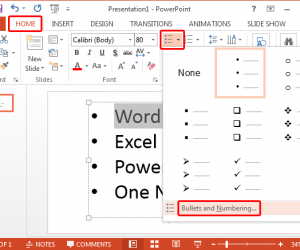 This is a great option to display information and an alternative to bullet points or bullet list. 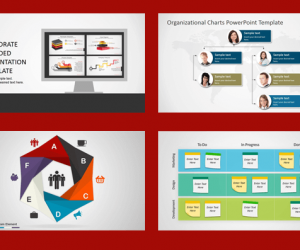 You can use animated PowerPoint SmartArt graphics to reveal a business concept, idea or enhance your existing PowerPoint slide decks instead of using the boring bullet points. Most SmartArt graphics come with their own specialized animation effects. 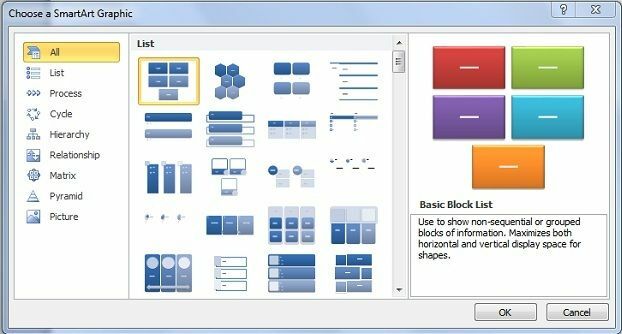 Go to ‘Animations’ menu on top of the PowerPoint ribbon and choose the block list ‘SmartArt’ graphic and then insert an animation. Select the entire SmartArt graphic you want to animate. 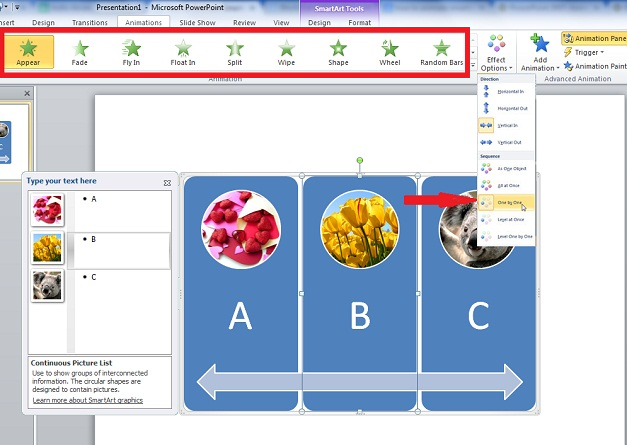 Select ‘ Effect Options’ and then click on’ One by One’ so the animation is applied to every object inside the SmartArt graphic, Your SmartArt graphic is animated. 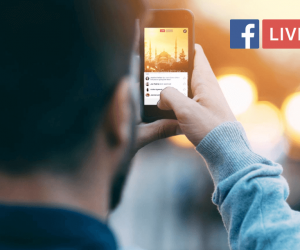 To see the live animation, press Shift F5 or start the slideshow. You can also configure the animation by changing the timing and effect if you want.